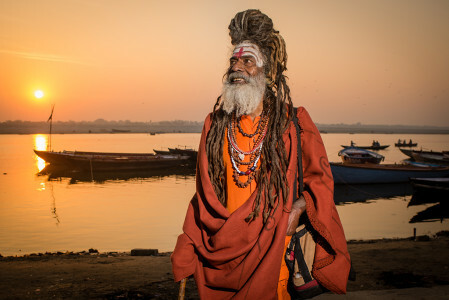 If you are born in India, as I was, Varanasi, that immortal city of Lord Shiva and his consort Sati, slowly but surely becomes a part of your psyche. My first visit to Varanasi with my mother continues to hold vivid memories for me even today. In my teens then, it was possibly the first time when I faced the confusion of how the same ground situation occurred so differently to my mother compared to me. What occurred to me as narrow serpentine alleys, overcrowded and difficult to breathe places showed up as a delectable array of holy shrines, temples and ashrams to my mother. 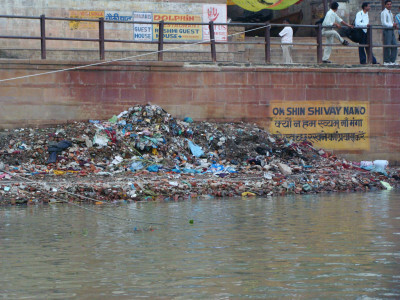 What occurred for me as slippery, dirty steps to be avoided at all costs lest I fall into a smelly cesspool, showed up as venerable ‘ghats’ of the holy Ganga river, promising salvation and nirvana to my mother. What showed up for me as a city bursting at its seams with the old and the dying, sickness, leprosy and burning funeral pyres, seemed to show up as life’s final destination and a passport to heaven for my mother. As is the norm, come sunrise, I accompanied my mother for the holy dip in the Ganges. When we reached the ghat, the place was already thronging with hundreds of people, some already in the flowing waters, others taking an oil massage as a prelude to the dip. A motley crowd of beggars, tea sellers, urchins, saffron clad ‘sadhus’ and devotees jockeyed for space and spiritual advantage. Now that was no doubt tempting. I could recall sins a plenty that I had committed over the last few months itself. But what held me back was the sight of raw sewage belching into the river with a dull roar. Not to speak of what appeared to be floating dead bodies and the vultures above. I had also heard sordid tales of unclaimed bodies, which no one came to cremate, being tied to a rock and sunk to the river bottom. I had this scary vision of stepping onto a body and being possessed by an angry spirit thereafter. The net result was that I refused to take that holy dip, much to my mother’s chagrin and embarrassment. Whenever I have mused about that visit subsequently, I have wondered what was it that created the almost diametrically opposite reality about Varanasi for my mother and me. Coming as she did from an overly traditional, semi agrarian Bengali household in suburban Calcutta and growing up in a joint family, my mother imbibed strong elements of religious and ritualistic ‘Dos and Don’ts’ apart from a conditioning to not question the collective view and mindset. I suspect this is what would have made her take to Varanasi and its ethos like a fish takes to the water. 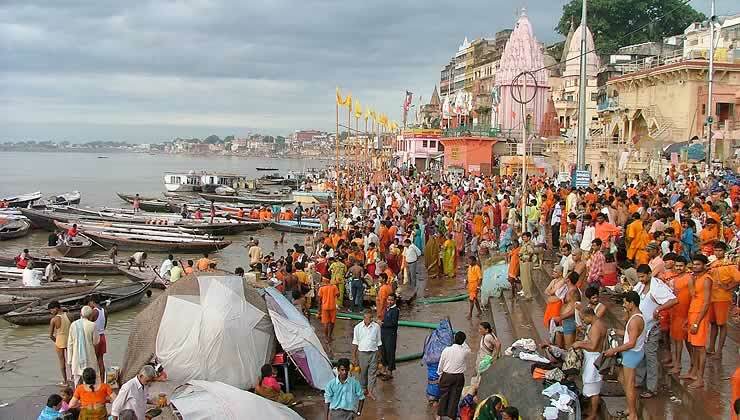 For Varanasi is all about the occurring of a collective mind. That collective mind which through centuries and millennia, has read the Gita, quoted the Upanishads and chanted the vedic mantras on those very ghats. I on the other hand, born and living in a nuclear family and receiving a liberal education, had very little exposure to the traditions, rituals and collective beliefs coming down the ages. So where my mother could selectively ‘see and tune into’ the devotional hymns, the fragrance of the incense and purity of the saffron colour all around her, I was left struggling to come to terms with the sludge and the floating trash, the smell of feces, the sickness and the poverty on physical display. 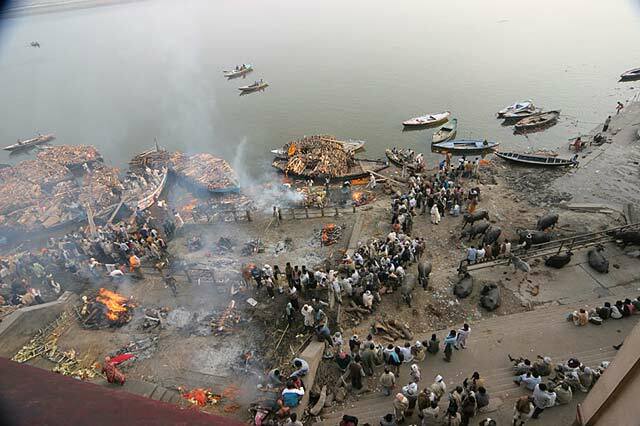 Today, when I look back to that Varanasi visit, I can see how the differing realities of the city effected us. My mother’s occurring of reality brought her great bliss and fulfillment. My occurring on the other hand brought in trepidation and doubt. I begin to realise how both the realities were illusions, anchored as they were to how the situations occurred to each one of us. Like the above, do we see how most conflicts in society and the world can be traced back to the aspect of reality illusion? An illusion which makes us erroneously conclude that what shows up for us as a result of our own world view and frames of references is in fact the only reality and we refuse to accept any differing perspectives. Merely holding the awareness that differing realities can and do occur for each of us, and this is but normal, can lead to significant lowering of conflicts…….